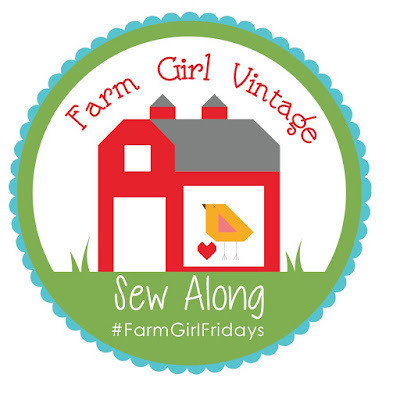 Bee In My Bonnet: Farm Girl Friday - Week 15!!! knee deep into your scrappy stash! 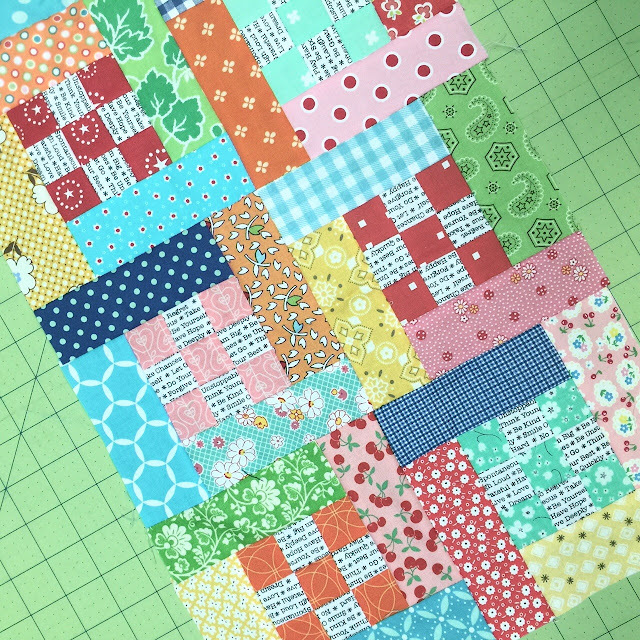 this block makes me happy! 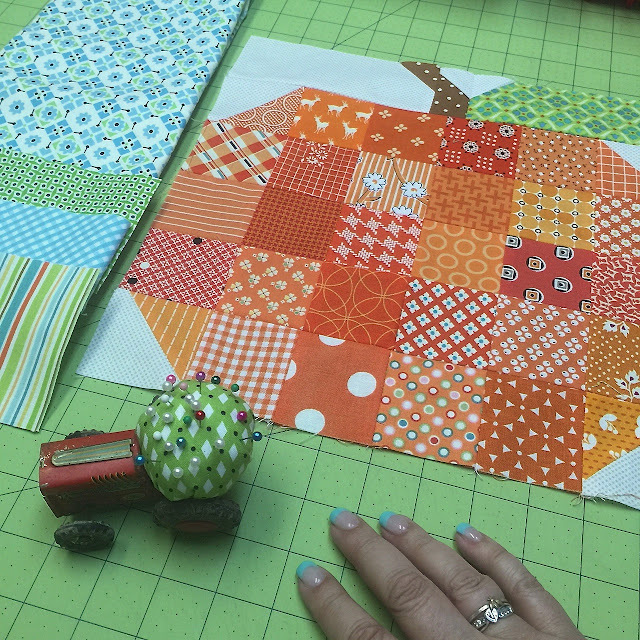 using my 12" Patchwork Pumpkin block. 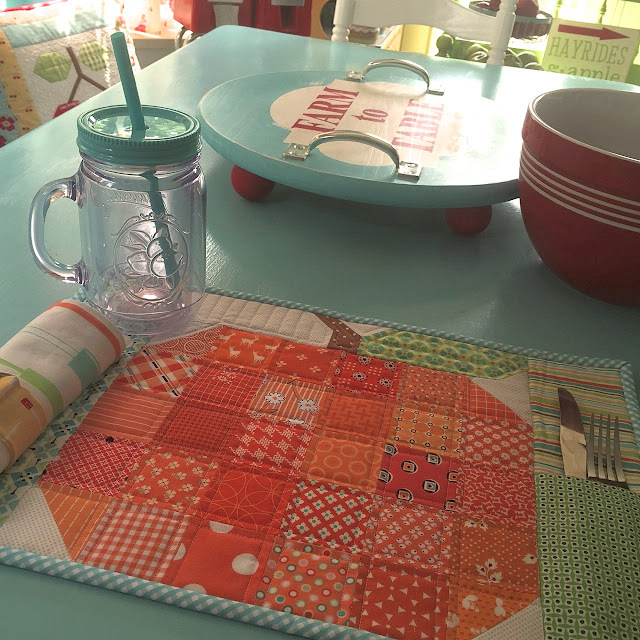 pattern to make a placemat! the farm table in my kitchen! popping up all over this week! and visit this weeks guest bloggers! 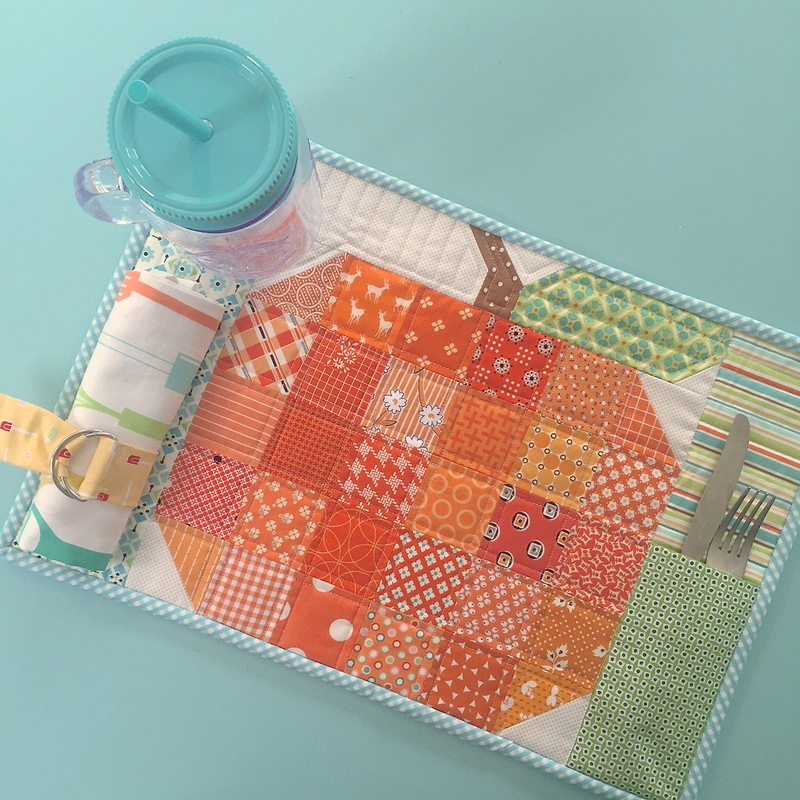 Beautiful - Love your pumpkin placemat!! I've been sewing 'fruit' pillows and enjoying the dent they have made in my scrap basket. And 'Out to Pasture' is going to be another of my favorite scrappy blocks. 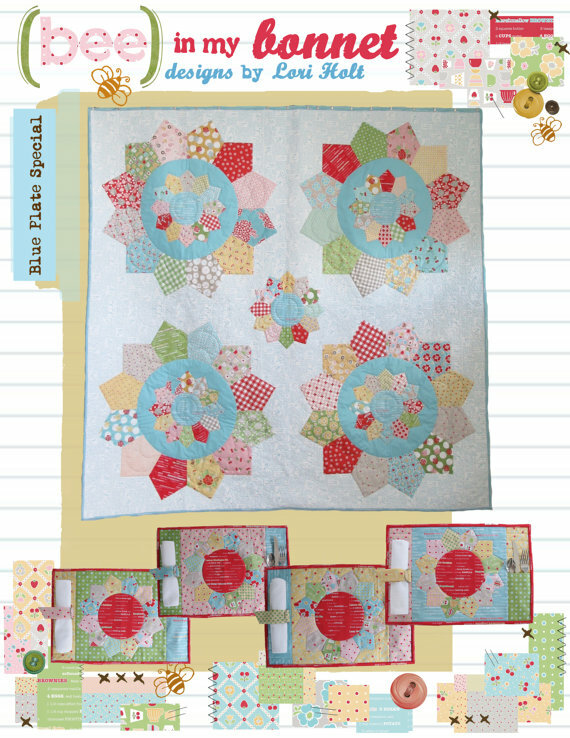 I've also been having sooooo much fun with your 2 new (apple and piggy) blocks. Thank you, Lori! I love what you have done. You keep me busy in my happy space and for that I am grateful to you! Thank you for sharing your talents with us! Love these ~ I just absolutely love the pumpkin !!! Friday takes on all new meaning when we have so many good things that come our way... First we celebrate TGIF. Then we get huge smiles when we receive our email from you poking us awake with the news of new blocks to make for our Farm Girl Fridays Sew Along. Oh the excitement, oh the fun! Happy day everyone! 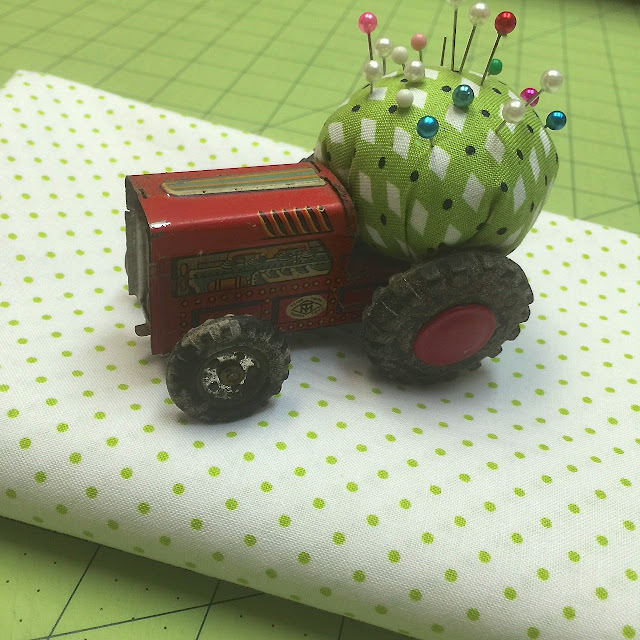 I love that little tractor pincushion. Must. Have. One. LOL! Thanks so much for another lovely way to use the blocks. 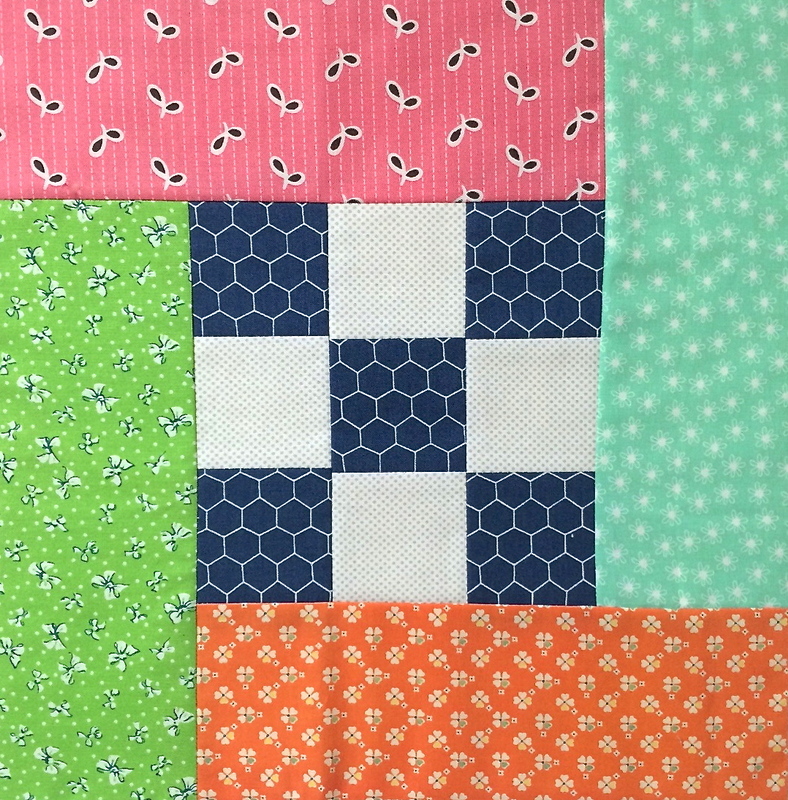 I have used your idea of cutting my scraps into 2.5 " squares and now have a ready made stash for projects such as this. Lovely placemat, it's so awesome. And, l do LOVE your tractor pin cushion. Sew cute! 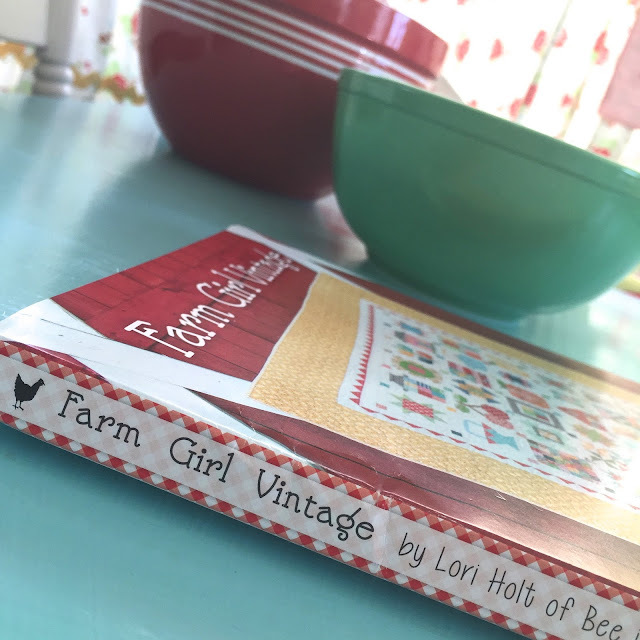 I just received your beautiful book, Farm Girl Vintage - LOVE your bright clear colors, can't wait to get started. Thanks for the book's spiral binding and the clever way it was used so the book binding can still be read. From a farm girl raised south of Chicago, now a great granny in western Nebraska. Those old, warm memories are with us forever! Got my gook last week; and its my nightly read and digest for now. Finishing up projects so my girlfriend and I can make this starting January. 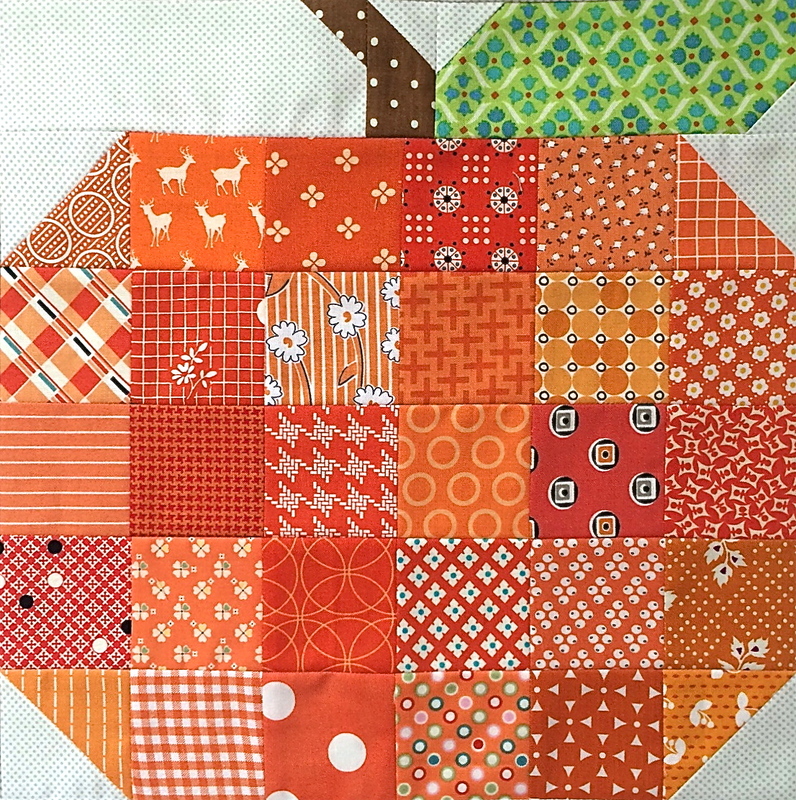 Love the blocks and the great use of scraps. Not that I haven't picked up a few riley blake --polka dots, and mini gingham's.....enticed by the extra patterns in the back of the book - very nice quick projects ! Just wanted to tell you how much I love your book! 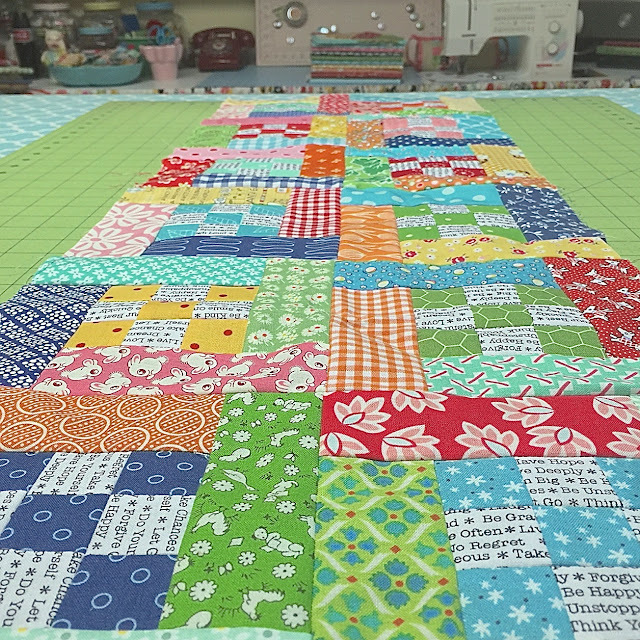 I just started the sew along but I am having so much fun! And all the different possibilities with the blocks are amazing! So thank you, thank you, thank you!